The amount of money you can save through benchmarking depends on several factors. One is how effectively you are already managing your facilities; another is the cost of utilities and labor in your geographic region. 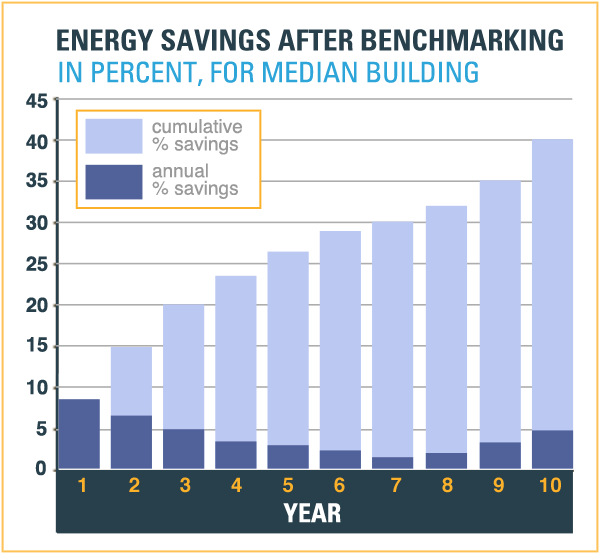 In our 15+ years of benchmarking, however, we’ve seen that nearly everyone saves. Moreover, your savings typically increase each year. In the first year, you’ll identify the most obvious best practices. Once you implement those practices, you’ll save money. 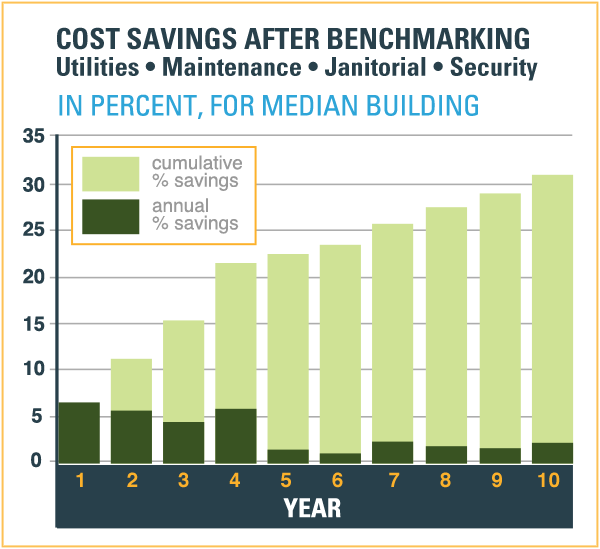 The next time you benchmark, you’ll be comparing your performance to a different set of buildings — those who have reduced operating expenses by implementing even more best practices. We call this the continuous improvement cycle.